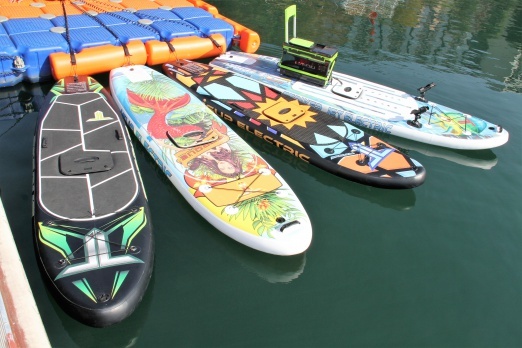 The iSUP electric Paddle Board from Torque in Australia comes with a colourful design. 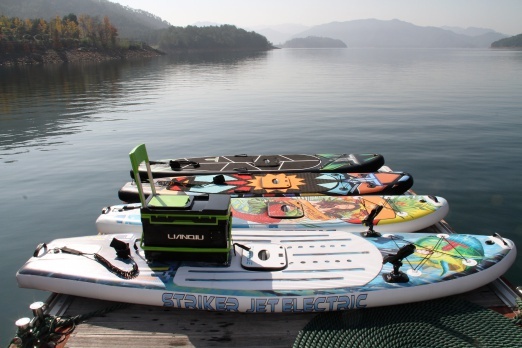 The inflatable paddle board promises fun for the entire family. 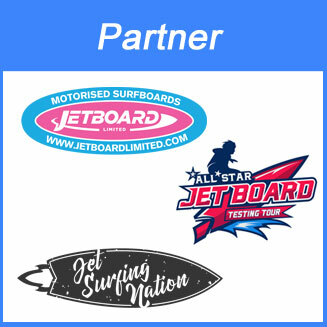 Torque is already known for its electric jetboards Xtream and Mongrel und is leveraging their experience with electric propulsion systems to enter the E-SUP market. Battery and engine are completely enclosed into the board as we have seen with Sipaboards before. 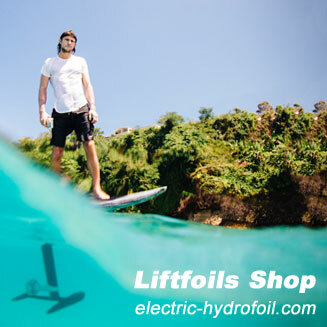 This means you can use the electric SUP also with the motor turned off as no external propeller is causing resistance. 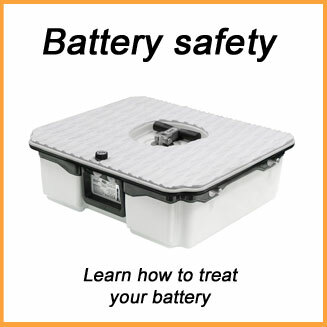 An optional electric air pump can be connected to inflate the board to 13 PSI in just a few minutes. 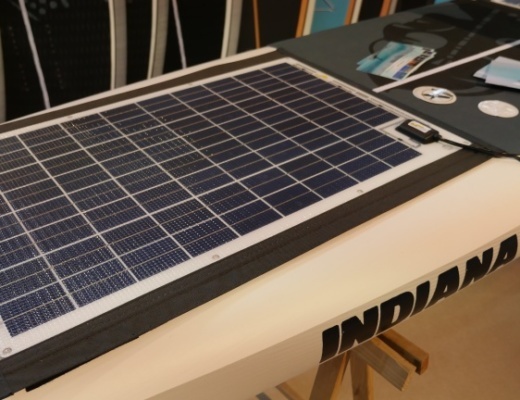 The iSUP electric Paddle Board has a length of 305 cm is 76 cm width and 17 cm thick. The weight is 16.3 kg and 23.9 kg including the battery. 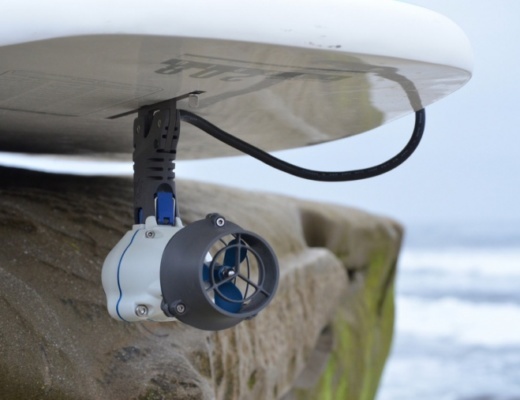 The board is made out of high quality PVC and the motor is controlled by an app for your smartphone or smartwatch. The 3 modes of the app / smartwatch offer speeds at 6 km/h, 8.5 km/h and 11 km/h. While the battery is placed at the centre of the board, the jet drive technology is placed at the back of the board. 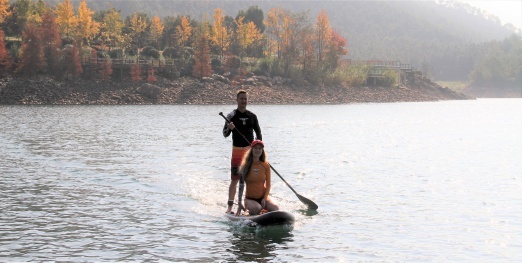 At 6 km/h the iSUP electric Paddle Board has a range of 5 hours which would translate into 30 km. We are looking forward to test this ourselves. The inflatable electric SUP can easily be stored in the back of the car and the optional electric pump offers the convenience to make life easy. 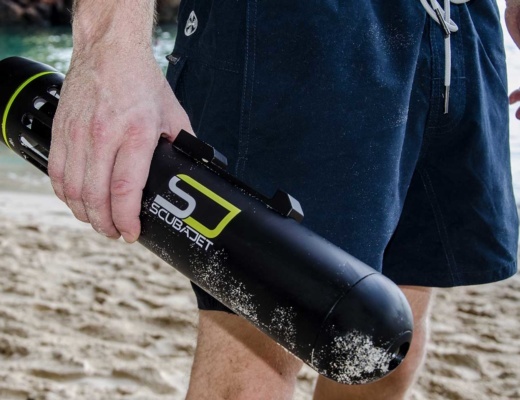 The standard package comes with the board, a battery pack, a back pack, a double action hand pump and the paddle. 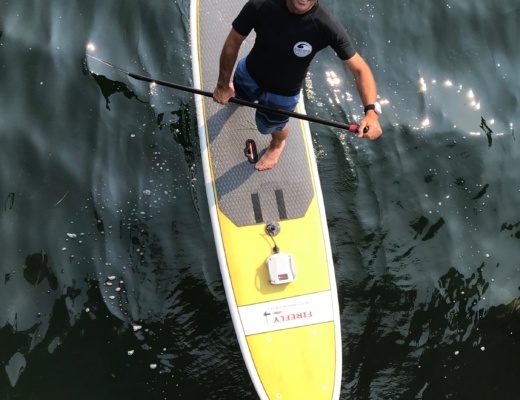 The iSUP electric Paddle Board from Torque is currently offered for a pre-launch price of 1,599 USD, but the retail price will be above 2,100 USD later. In addition you can buy an extra battery pack for 649 USD, a battery proof case for 150 USD (with an iSUP) or 299 USD (separate). The electric pump which connects to the iSUP electric Paddle Board battery is offered for 79 USD. Torque offers a second E-SUP aimed for fishing. 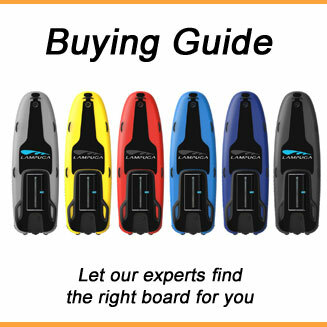 The board is with 330 x 97 x 17 cm a more stable platform, has 2 rod holders and a seat. Yes a seat, which can be also used for storing refreshments. 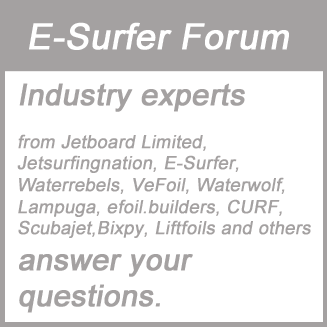 The Striker Jet electric is currently available for 1,899 USD pre-launch price or about 2,300 USD later. 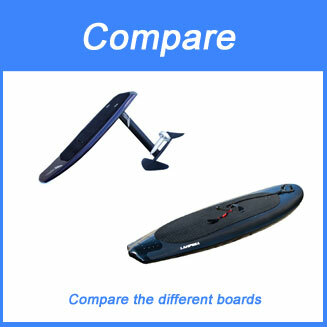 You can compare the electric SUPs iSUP and Striker in our electric SUP comparison. More information at Torque website.